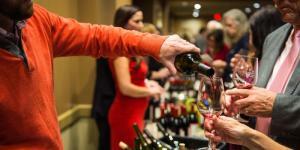 The Loudoun Wine Awards was held at Lansdowne Resort last Fall and announced the top wines of Loudoun in many different categories including 10 "Best of Class" Bordeaux Blends. Enjoy an evening at the beautiful Lightfoot Restaurant with delicious wine and hors d&apos;oeuvres while chatting with some of the winemakers! Check out the website for a full list of the wines you will be tasting. The Loudoun Symphony Orchestra is presenting this year&apos;s Chef&apos;s Tasting Gala at Lansdowne Resort this Saturday night. The event features live music and a chef tasting menu by Aggio, DC Prime, Lansdowne Resort, Magnolia&apos;s at the Mill, Roots 657 and many more. Dance the night away and enjoy delicious local cuisine. Get your tickets now!